Do you have spring fever? Come out to SWAC’s Spring Fling Craft Fair! 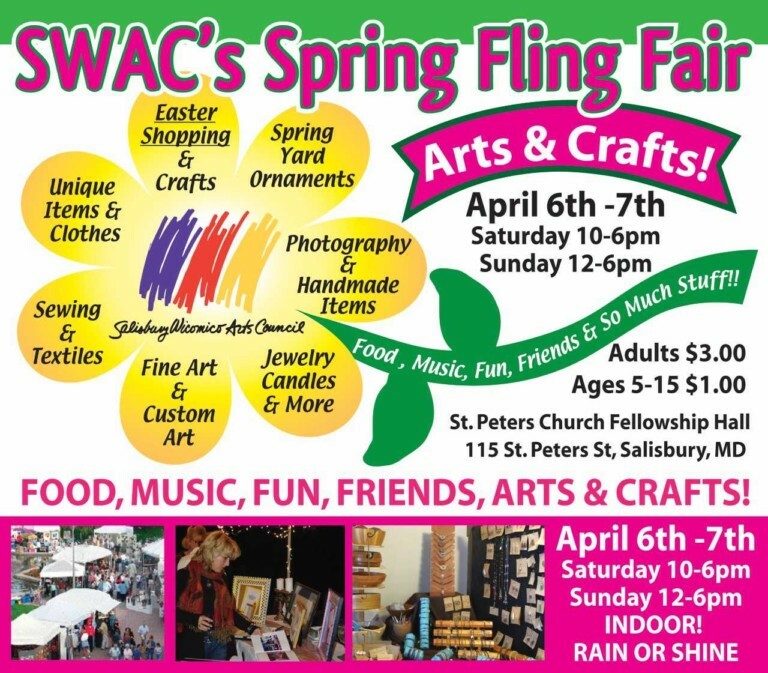 SALISBURY, Md.– The Salisbury Wicomico Arts Council is gearing up for their weekend-long Spring Fling Fair. 47 ABC was joined by Therese Hamilton with SWAC to talk about the event which will take place on April 6th and 7th at St. Peters Church Fellowship Hall. The fair will feature all types of homemade crafts such as jewelry, yard ornaments, accessories, clothes, candles, photography and more. There will also be plenty of food and music offered throughout the weekend. Tickets are $3.00 for adults and $1.00 for kids ages 5-15. The event will run from 10AM-6PM on Saturday and Sunday from 12-6PM. For more information you can log on to GetSWAC.org.